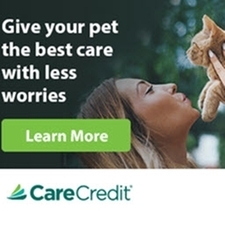 Click here to apply for Care Credit Card! Care Credit can cover annual expenses such as preventative care check-ups or even for unexpected costs like pet prescriptions or surgeries. Medical Insurance for pets can help you pay for unexpected illness and injuries. Embrace Pet Insurance covers accidents, congenital/hereditary conditions, alternative therapies, chemotherapy, chronic conditions, and any type of diagnostics. They reimburse based on an actual percentage of the veterinary bill and you choose your monthly premium. They also offer Wellness Rewards to help you pay for and budget the cost of routine care (spaying/neutering, dental cleanings, RX diet food, vaccines, flea/tick/heartworm meds, etc). 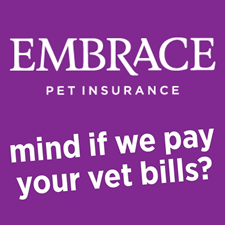 Go to www.embracepetinsurance.com/cdc and enter code 80222452 to get a 5% discount! A Trupanion medical insurance policy has the ability to save you thousdands and keep your best friend by your side. 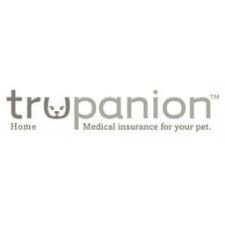 Trupanion offers 90% coverage with unlimited payouts. Trupanion can pay your pet's veterinary bills directly to participating hospitals. All you have to do is pay your portion of the bill at checkout. Claims have never been so easy! 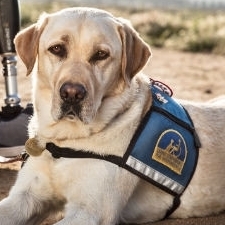 Here is some interesting facts and information regarding Service Dogs. Written by a local student Thomas Brewer. 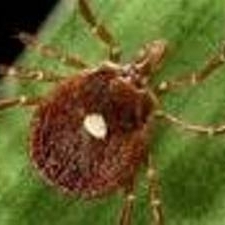 This website is a great resource for all things ticks.